Called the ‘most influential film of all time’ by many famous producers such as Woody Allen or Steven Kubrick, how could CITIZEN KANE not be the start to our Watersprite #gamechangers series? We are so excited for the Festival that we can hardly wait – this series of posts is to keep the movie lover’s and maker’s spirit up and get us all thinking about great films that have changed the world. 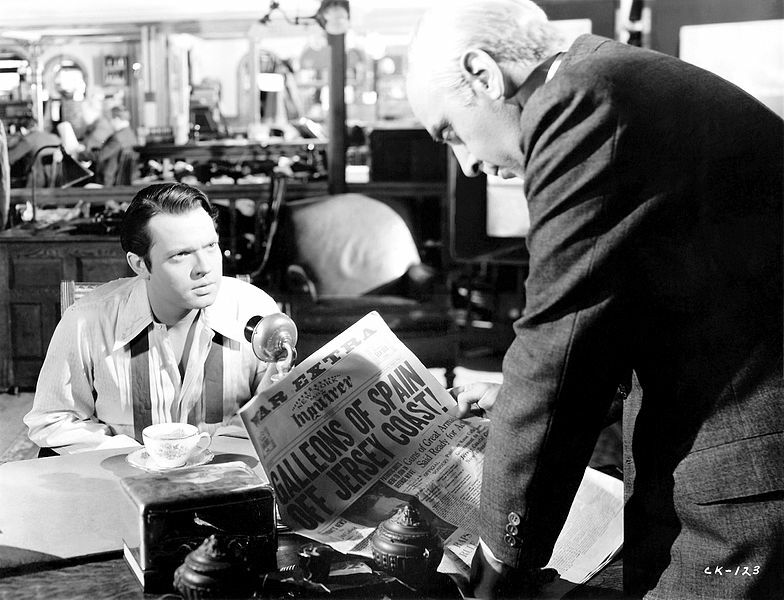 If you haven’t seen Citizen Kane or think it’s too old to be any good, read on to have your mind changed! The mystery film was hugely influential in the film scene and accomplished much of what was previously unheard of in Hollywood, including having multiple narrators tell Kane’s story from different perspectives; in fact, it left us with more questions than answers to his character (just think of Kane’s famous last word, “Rosebud”…). We love this film, and it influenced the work of many film makers – Steven Spielberg, for instance, bought one of the original “Rosebud” sleds in 1982 for an incredible sum. So grab a snack and get watching as you prepare for our festival in February!